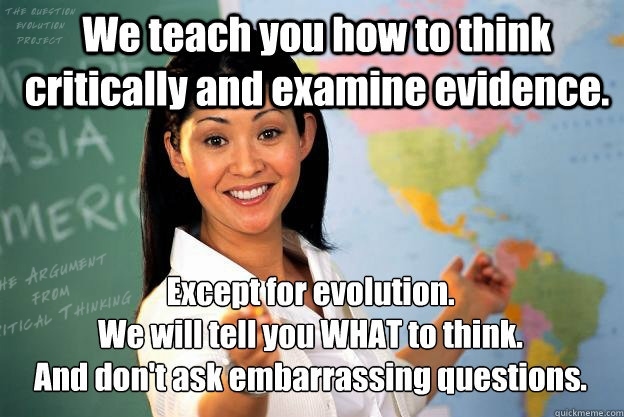 When discussing origins with proponents of evolution, we find that they simply repeat what they have been taught. Unfortunately, they have been taught "facts" that are conjecture, and "evidence" that is based on presuppositions and circular reasoning. Questioning evolution as a fact is effectively forbidden, and fundamentalist evolutionists strive to suppress critical thinking and examination of the evidence. Jonathan Osborne wants to do things differently. Instead of reciting facts (both real and imagined), he wants students to do something radical: Argue from the available facts instead of starting with a conclusion. Although it's a step in the right direction and interferes with evolutionary indoctrination, it's not quite enough. A professor of science education has a radical idea: teach science through argumentation, because that’s the way scientists do it. To find out what all is involved and why it isn't quite enough, you can read "Students Need to Argue Science, Not Memorize It".